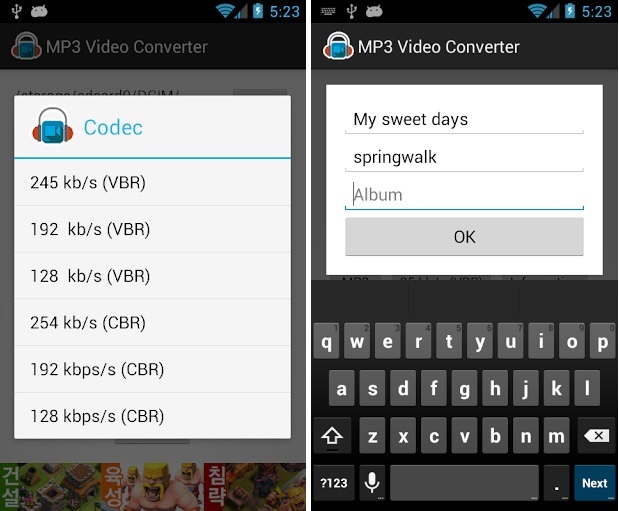 Convert MP3 to WMA, M4A, AAC and 1000+ audio/video formats. 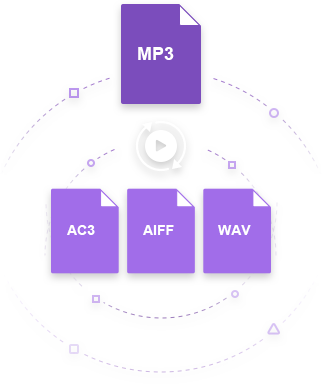 MP3, a digital audio file format is one of the widely used and worldwide accepted formats, that no one can deny gives the audio quality in an optimized way. MP3 is supported by almost all the online platforms, websites, media players, devices and so most of the time people prefer audio file to be in the MP3 format to have better compatibility. In simple terms, one may need to change some of the videos and recorded files to the MP3 format and they may, therefore, require a tool that necessitates this. Whether on Android, iOS, Mac or Windows, there are tools to make this possible since the MP3 format is a popular and widely used file format. Herein are the best free MP3 converters to assist in any format conversions. From Wondershare comes this advanced video converter for Windows. 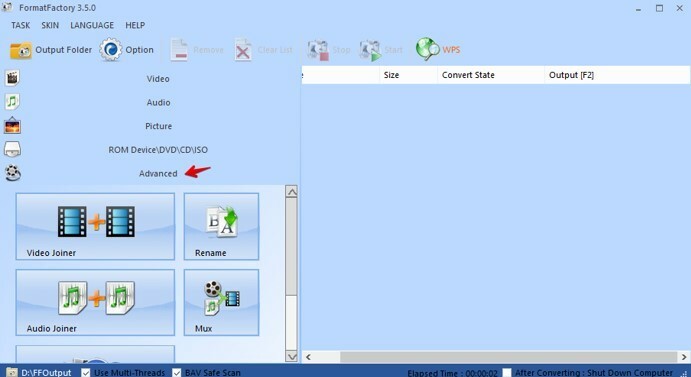 The Video Converter Free is free as the name states and has powerful conversion capabilities. The software is uniquely designed and the dashboard is as elaborate as it is stunning. The software not only converts audio files but also video, image, and other documents. It produces high-quality output after conversion. The interface is concise, elaborate and impressive. Provided with Quick conversion facility. Not only conversion but can be used to record and burn DVD files. Step 1 First, download, install and launch Wondershare free MP3 converter, then click Add Files to add MP3 or other files that you wish to convert. Step 2 Hit the format icon in the right side and select your target output format. Step 3 Tap the Convert button to convert the file(s). To view the converted file, just hit the Open Folder button. 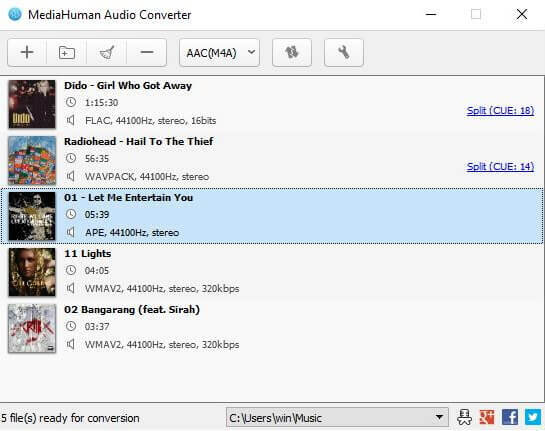 The Freemake Audio Converter supports conversion to many file formats and is compatible with Windows. The software is specifically an audio converter and you can thus be assured of great quality output. It has nice features such as the ability to batch convert with quality output. 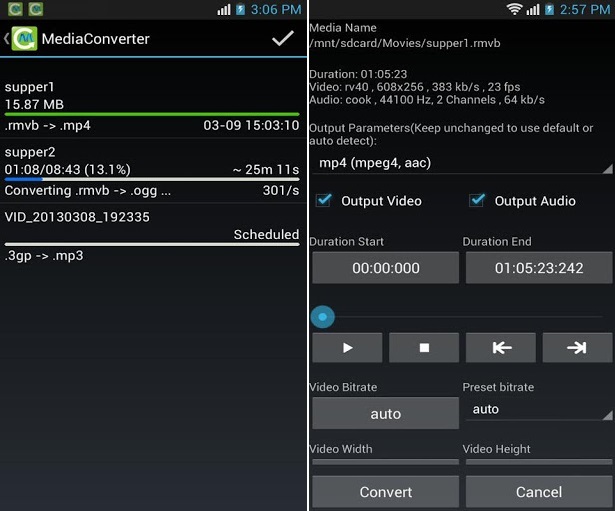 Only an audio converter, not for videos or other file formats. One must purchase the premium package to enjoy perk and benefits. The software is pretty basic but with extensive coverage when it comes to anything to do with media files. It has some amusing features such as the batch conversion ability as well as supporting many file format conversions. The software comes equipped with over 60 different languages and a number of skins to change the appearance as one pleases. Format Factory is a Windows-based software. Has many features, such as the number of languages used and the supported file format conversions. The software may crash at times, due to huge conversions underway. The interface is really simple and plain almost monotonous. Though the interface is quite basic, it makes up for this in its all-inclusive features. 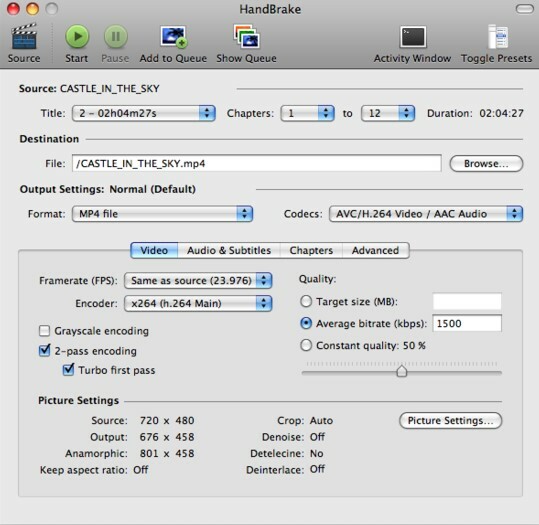 Handbrake is one of the most suitable tools for Mac OS. With the software, one has the ability to change the quality of output before converting and also features the ability to add subtitles. You can add subtitles for ease of understanding. One can change the format quality before converting. Has Apple presets to quickly convert for Apple devices. The software is somewhat complex. The number of file formats supported is limited. ffmpegX is a converter designed for Mac OS and has some great features. Like Handbrake, the software offers the ability to add subtitles, but in contrast, supports numerous file formats. It is a sturdy software with the ability to set quality converting parameters as one pleases. ffmpegX supports conversion to many file formats. It has advanced settings such as the ability to adjust the bitrate and sample rate. The software has a media player. Quite complex to novice users. It is not regularly updated. This is a freeware software for Mac OS. 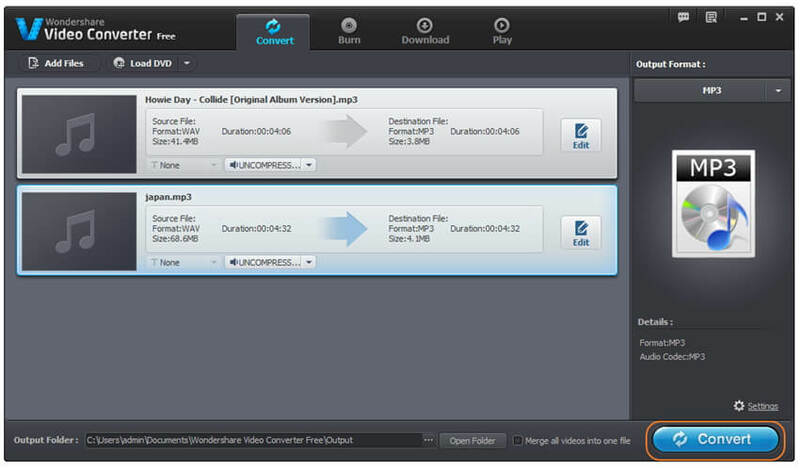 The software features an audio converter, easy splitting, and extraction of audio from video files as well as batch converting. The interface is smart and appealing, with no hidden functions. The audio converter supports many file format conversions. It's basically an audio converter and does not support video and other file format conversions. It may be a little bit complex to new users. 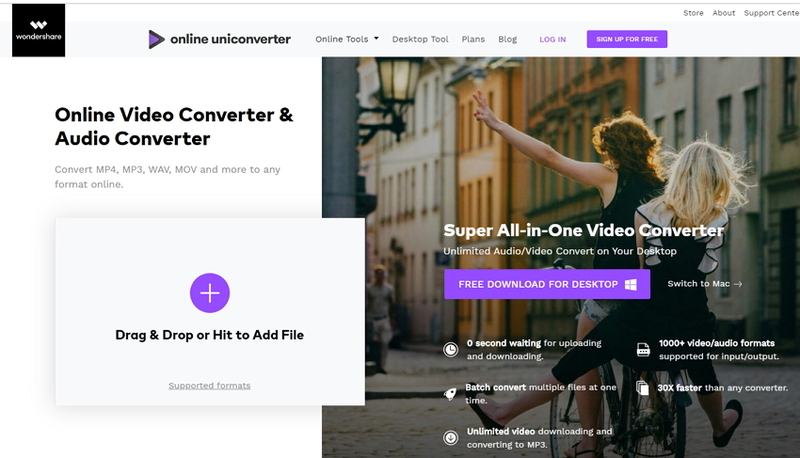 Online UniConverter (originally Media.io) is a free online converter that supports many file formats. The design is eccentric and unique. While it has a file size limit for conversion, the output is simply amazing and redefined. The conversion process is very simple. The site is stylish and easy to use. Using the converter is free. This online converter supports conversion to many file formats. There is a limit to the file size to be converted. 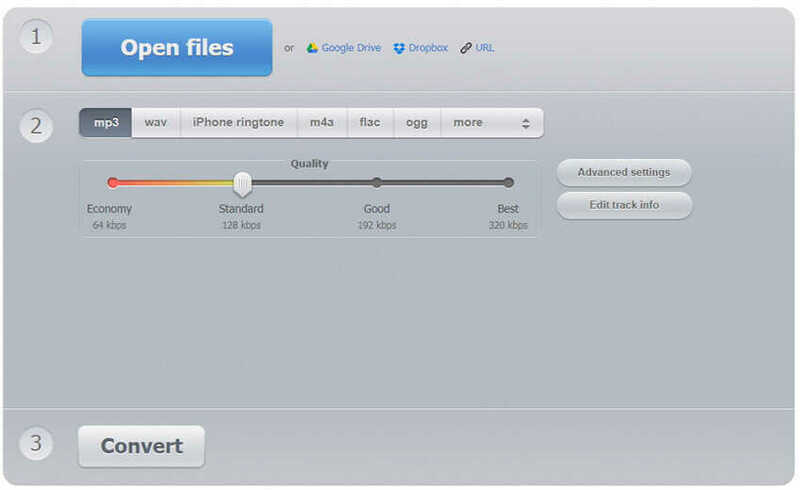 Online Audio Converter supports many file formats and with a high-quality conversion rate. No account registration is required, you only to convert and get a link to the converted file. It is easy to use and one can even be used the advanced settings on the site for conversion. The online converter is easy to use. It has a metadata editor to track the info of the converted file. The site may lag with huge file size conversions. The advanced settings require some background knowledge on how to configure before setting them. This is an online converter that has many features such as the OCR and the video image and other documents such as an ebook converter. It has a file size limit of 100MB for conversion. Convertio is quite easy since the procedure is clearly detailed on the page. Enabled conversion to many file formats. Has more features such as the video and image converter as well as the OCR feature. Upload file size for conversion is limited. One is required to create an account to enjoy more features. Supports both audio and video files conversions. Does not support conversion of huge files. Some of the features are a bit complex to use. With the ability to configure even complex setting such as the bitrate and sample rate is the Media Converter. Designed for Android devices, it is easy to use and a free app. The app support conversion to many file formats as well. The app supports some advanced settings such as changing the bitrate and sample rate. The app interface may seem complex. It's a powerful app, but with huge conversion, it may tend to be unresponsive. This is a super app for the iOS users that really utilize much of your iPhone's processing power to convert. With the more complex setting like the adjusting of the bitrate, sample rate and resolution come with this converter. 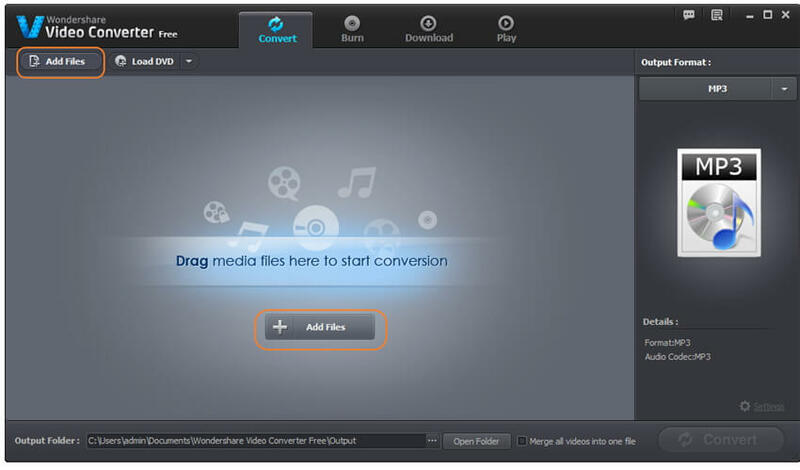 iConv Video Converter is stylish and can convert to many formats. Can integrate well with chatting apps for sharing of the converted files. Utilizes much of the iPhones battery. The conversion process may be slow. 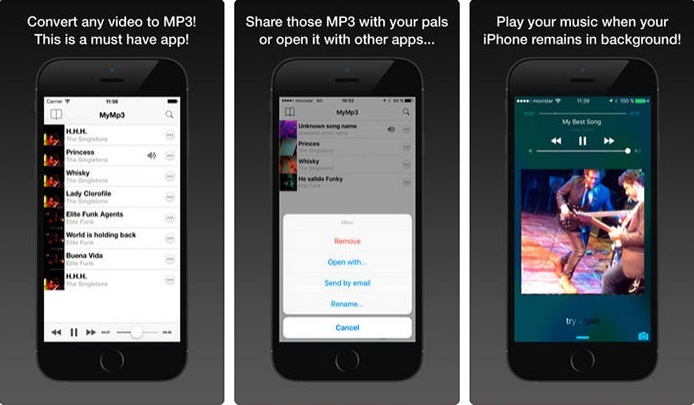 Similar to iConv, MyMP3 can share the converted files. It also converts many file formats to MP3, thus making it one-sided. It executes really well though and the number of formats it can convert from is numerous. Supports sharing with different apps. Quick conversion of media files. The software design is simplified, making it easy to use. It is only an MP3 convert, thus one cannot convert media files from MP3 to other formats. The conversion speed is a bit slow. I hope now you are confident and are aware of the best MP3 Converters for Windows, Mac, Online, iOS and Android devices. Due care was taken to explain the steps in an easy manner. Simply follow the guide above and it will help you in the conversion of your media files to and from MP3 file format.